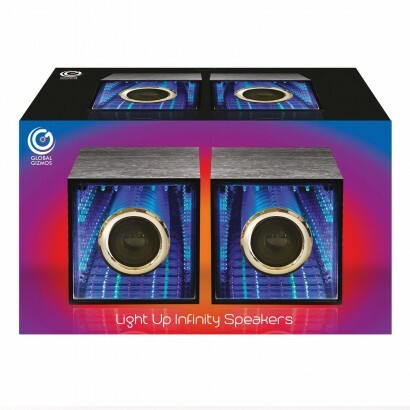 Bring your favourite tunes to life with a funky disco effect every time you play your tracks through infinity tunnel speakers. 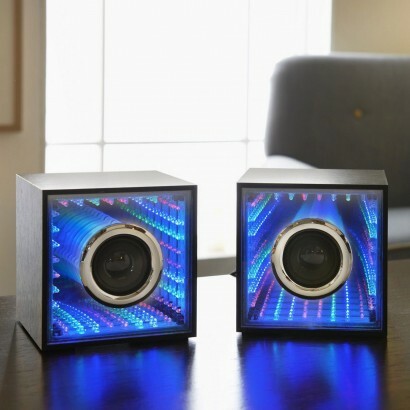 Lit by red, green and blue LEDs and with clever mirrors, these incredible speakers create an endless tunnel of light that pulses to the sound of your music! Ideal for use with MP3 & 4 players, smartphones and tablets, simply plug into your devices headphone jack and enjoy high quality sounds and a mesmerising light show. 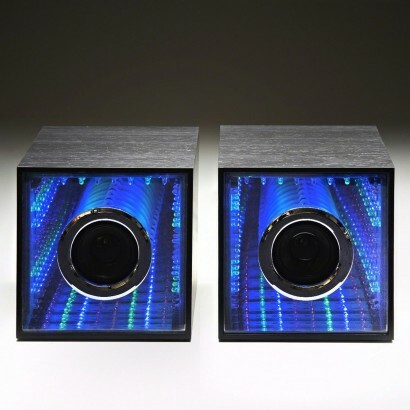 Creates infinity tunnel effects that pulse to your music!